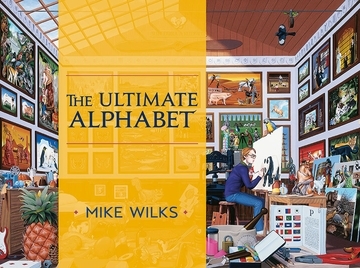 Mike Wilks set out in the 1980s to depict as many words as possible in twenty-six images corresponding to the alphabet. His four-year painting odyssey resulted in a suite of magnificent compilations, all minutely detailed, masterfully rendered, and slightly surreal. Each image contains dozens, if not hundreds, of items all starting with the same letter. It is a mind-blowing and enjoyably engaging task to attempt to identify all of the objects. One wonders at the artist accomplishing this seemingly Herculean artistic endeavor. The reader need not go crazy, however, trying to name all of the words represented in the images (at last count, 7,819!). Numbered line drawings accompanied by lists of words serve as keys to the paintings. In examining the paintings carefully, one can check findings against the keys and in doing so will discover new words, as well as take delight in the process of examining the art carefully. It’s art appreciation and a game of discovery, all in one. 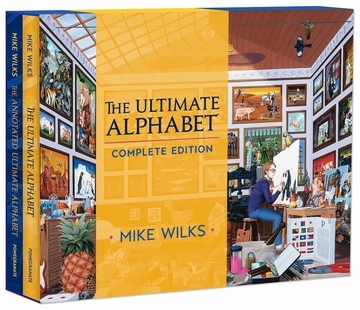 The images in this book were first published in 1986 in the best-selling The Ultimate Alphabet, and later in The Annotated Ultimate Alphabet, in which keys to the images were included. 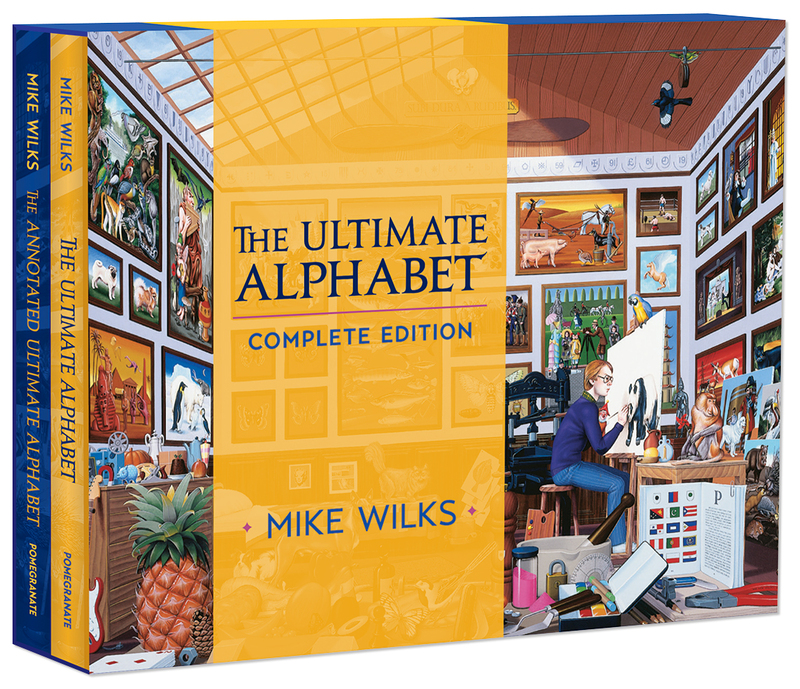 Now, The Ultimate Alphabet: Complete Edition brings these two volumes together in this deluxe slipcase edition. One volume presents the paintings with introductory text by the artist; the other offers the keyed drawings and alphabetical lists of words. Mike Wilks (British, b. 1947) began his artistic career at age thirteen when he won a scholarship to art school. He ran a successful graphic design business for five years before he sold it and began writing and illustrating books in 1975. 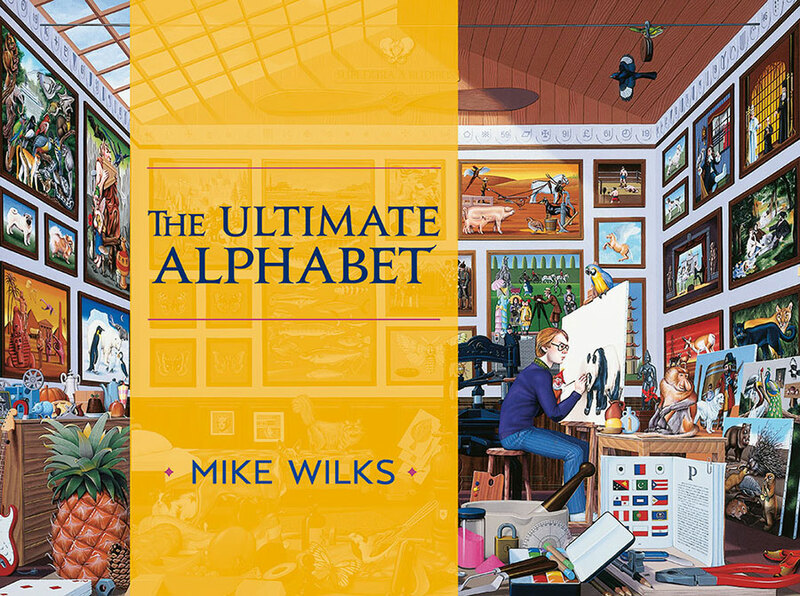 He rocketed to fame following publication of The Ultimate Alphabet in 1986; the puzzle book sold 750,000 copies worldwide. After eight illustrated books, he established himself as a novelist with The Mirrorscape Trilogy, a fantasy adventure series. 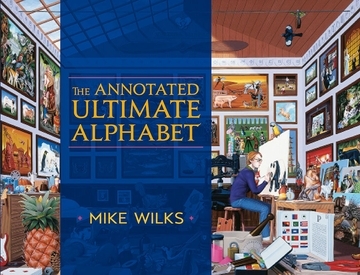 The Museum of Modern Art in New York, the Victoria and Albert Museum in London, and many private collections have acquired Wilks’s drawings and paintings. Wilks lives in London.